Looking for an easy-to-make, yet elegant, appetizer? 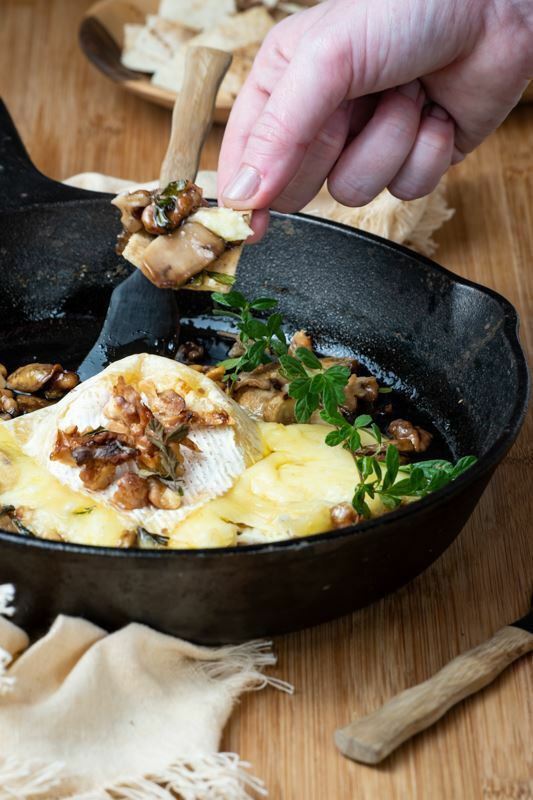 Baked brie, surrounded by crackers for dipping, is the answer. 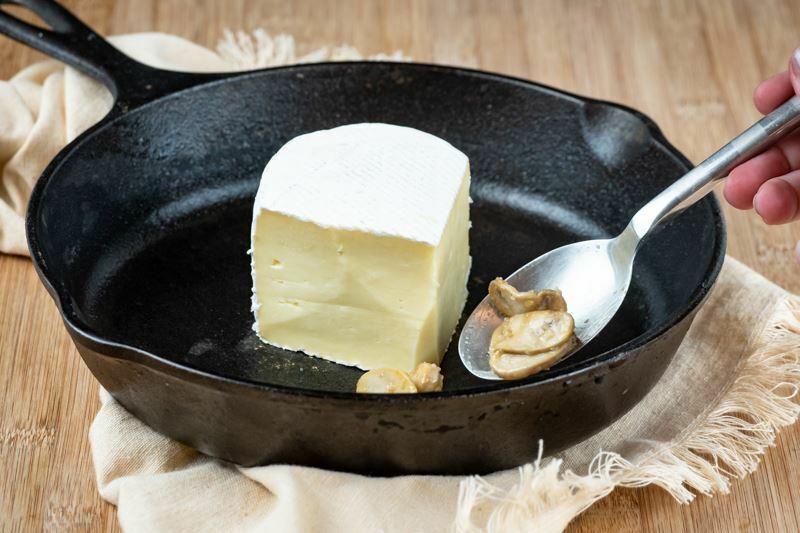 Brie's creamy texture and its nutty, even earthy, flavor makes it an instant crowd favorite. 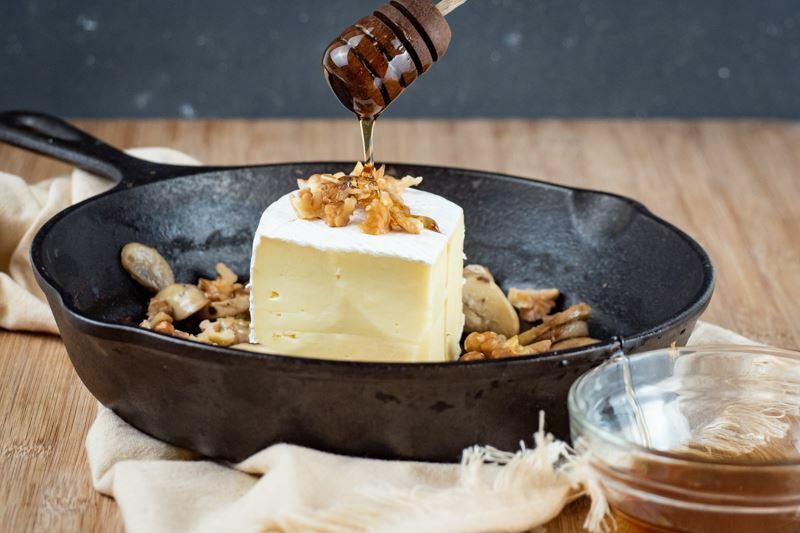 Add some tasty toppings, drizzle with honey, and pop it in the oven for the best baked brie recipe ever! 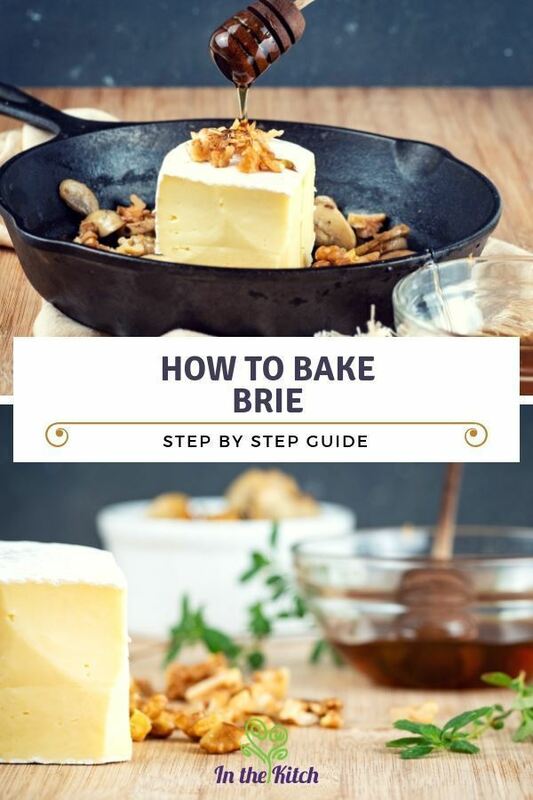 Learning how to bake brie isn't difficult. 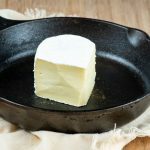 However, for optimal results, you will need a sturdy well-seasoned cast iron pan to ensure even heating and no sticking. 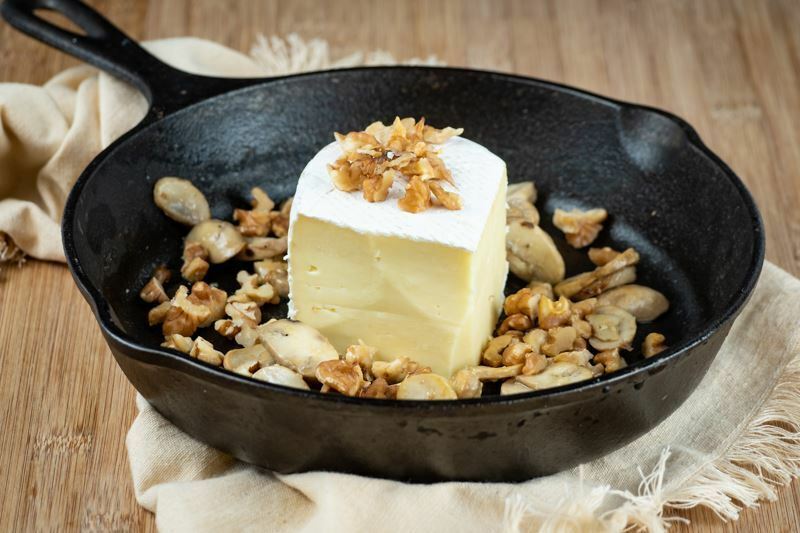 Choose high-quality, properly aged brie to get the rich flavor your guests will enjoy. 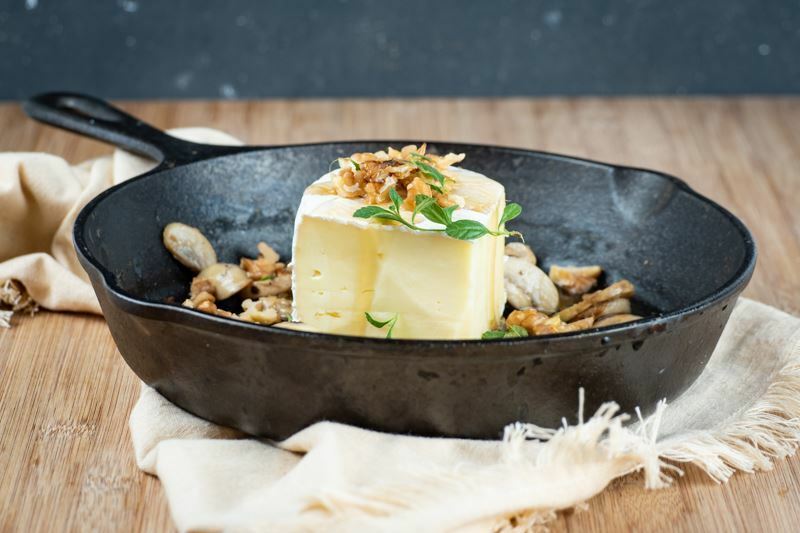 Ideally, the brie should have a powdery-white rind with a creamy yellow interior. If purchasing by the slice, you want the inside to have a satiny sheen to it. If purchasing a round, look for one that is bulging at the rind. 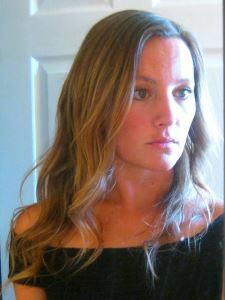 Look for rounds that are no more than an inch high, otherwise it will not be ripened properly. Pre-heat oven to 180°C/350°F. 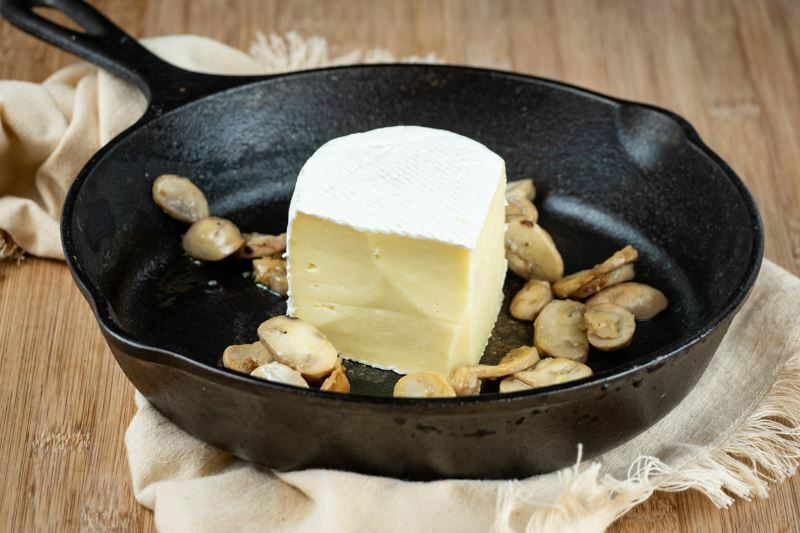 Place the Brie cheese in the cast iron skillet. Add the walnuts to the pan. Add the honey to the skillet. Add some of the oregano leaves - reserve some to serve. Bake until melted - around 10 minutes. Serve with crackers and the reserved oregano leaves. And that's how you cook this savory cheese without a Brie baker. 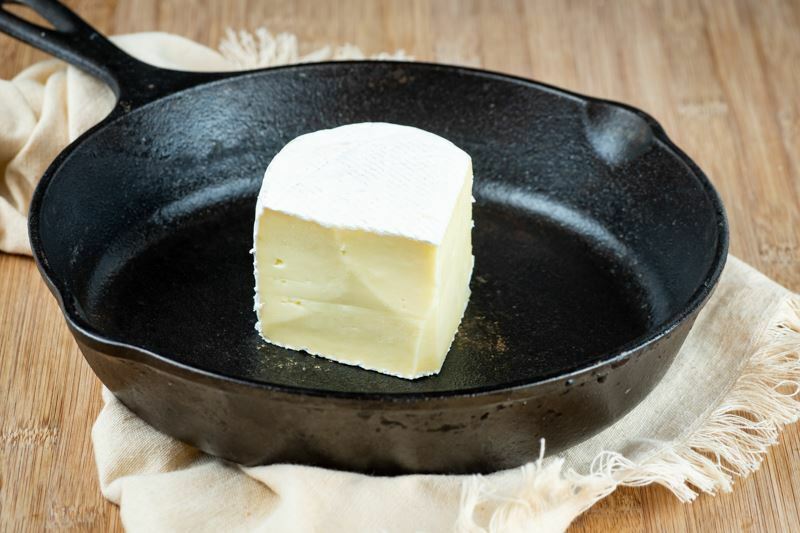 Ten minutes is usually how long to bake Brie, though larger wedges may require one or two more minutes. 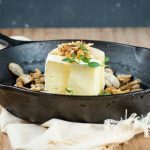 Wondering what to serve with the Brie? Crackers and toast points are two common options for dipping, though pretzel chips or sliced vegetables work just as well. Apples and pears offer a sweet bite to contrast the savory nature of the cheese. A tasty fruit jam or sliced pepperoni are also great combined with Brie. 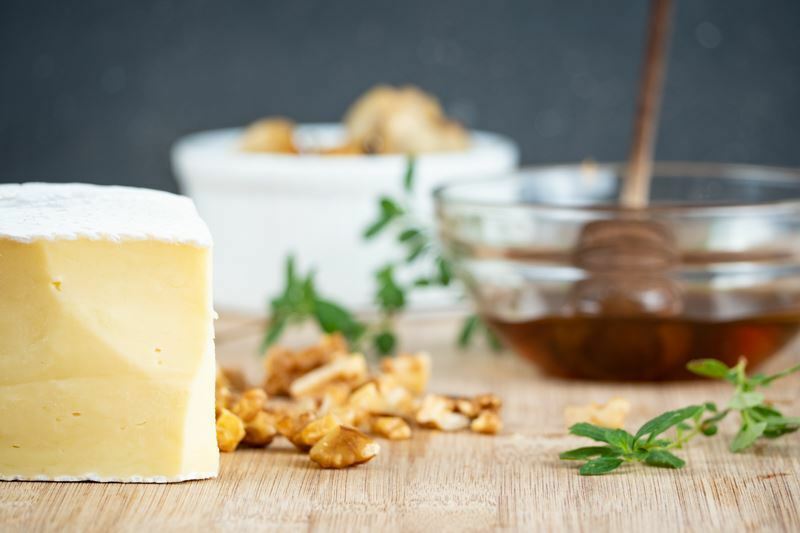 Want some variations from the mushrooms, walnuts, and honey? Pineapple and pecans bring the sweet and nutty flavors to bear. 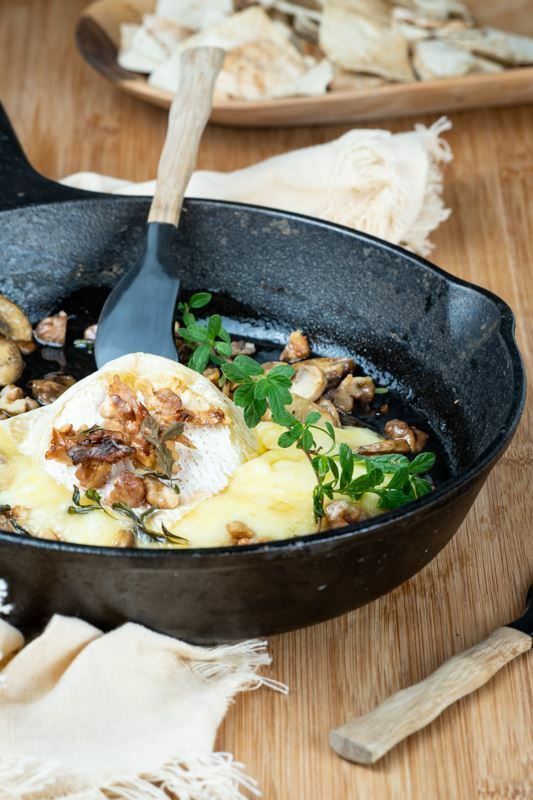 Sun-dried tomatoes give the brie a sweet and savory boost. Bacon and blueberries are an unexpected combination. Apples and salted caramel will bring the cheese to dessert level. 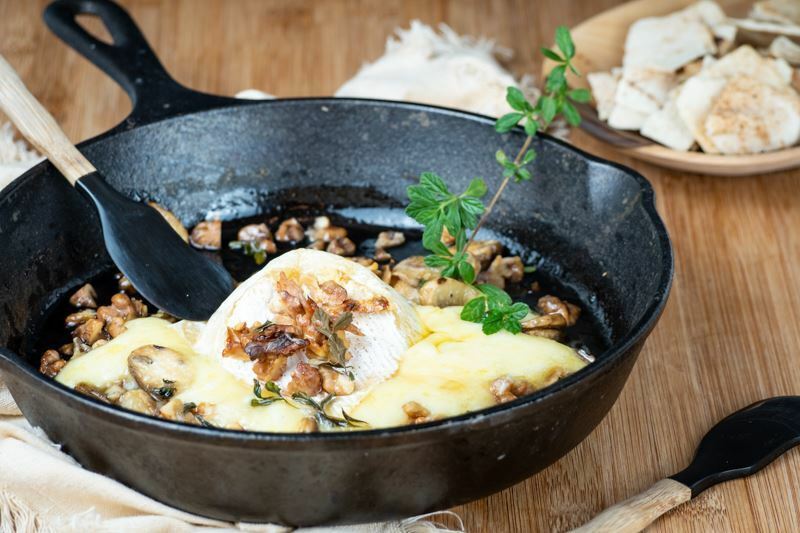 What kind of toppings did you try on your baked Brie? Do you prefer a savory or sweet profile? 1 wedge Brie cheese, around 400 gr.